My first week of teaching after the holidays is over. I am getting back into the groove of life after the holidays; for example, not eating every hour, only going to the toilet during breaks (! ), early nights in bed and veeerrry early get ups. (Life as a teacher!) I am not going to get too used to it though, we have another holiday in 6 weeks! Currently reading -Tiny Sunbirds Far Away by Christie Watson. Every night this week I have gone to bed and been transported to Nigeria. Currently watching - Series 4 of Seinfeld. Love it. Particularly The Airport, when Jerry and Elaine's plane was cancelled, but they can get seats on another flight, problem is, there is only one seat in First Class and one in 'Coach'. Elaine- '"Why should you take the First Class?" Jerry- "Elaine, have you ever flown First Class"
Jerry -"See, you won't know what you're missing. I've flown First Class, I can't go back to Coach. I can't. I won't." Currently listening to- Emeli Sande (Next to Me particularly!) - fabulous. Currently training for- Dubai Marathon. Less than 3 weeks until my first full marathon. Eeek! I watched that whole miranda clip...Hilarious! I can't get the Miranda clip in the UK (some sort of licencing thing - darn). Have you watched Modern Family before? - super hilarious like Seinfeld. Welcome back to the groove - good luck on your marathon training. Tiny Sunbirds...what a delightful name. Glad you liked it Laura! Happy Homemaker (Laura)-that is a bummer, but you'll have to check it out on BBC if you've not already seen it! I've seen Modern Family...the gay couple crack me up. Oh my! Marathon training! Holy moly. I admire anyone who undertakes one! 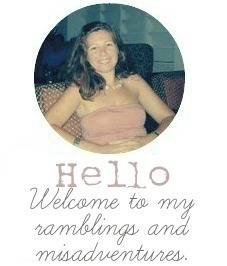 PS, nice to "meet" you on the internet; love running across fellow travel / expat bloggers!